One of the things that has been notable since the construction of Sophia’s website has been the number of people who have commented on how lovely it is. “The website is beautiful”, they say. Yes, it is. I think so too—and I want to place here my thanks to Katie White from Phoenix Design for bringing conception to reality. Katie was asked to create a platform that had a lovely clarity, so evoking Sophia herself, whose thought was like a room filled with light. In this way, the website itself has become one of those “ripples” of Sophie’s life in the world. Beauty was the brief Katie was given, and beauty is what she has sensitively crafted from geekdom’s two-dimensional linearity. How wonderful is that! Our sci fi-loving Sophie would approve. That wood a bird inhabits, wonderfully handsome, strong of wings, which is called Phoenix. There this creature unparalleled keeps his dwelling and, courageous of heart, his way of life; never shall death harm him in that pleasant plateau while the world remains…Then comes the ending of his life; the pyre engulfs him with his kindled fire. Yet, wondrously awakened, he miraculously returns to life. 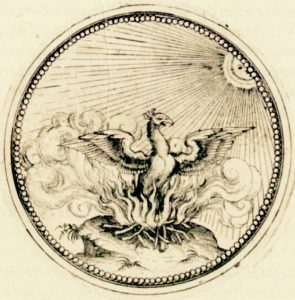 Therefore he does not agonize, moping, over death and painful dissolution, for he knows that after the fury of the flame there is renewed existence, life after extinction, when he is regenerated again from ashes in the shape of a bird and grows young afresh beneath heaven’s canopy.